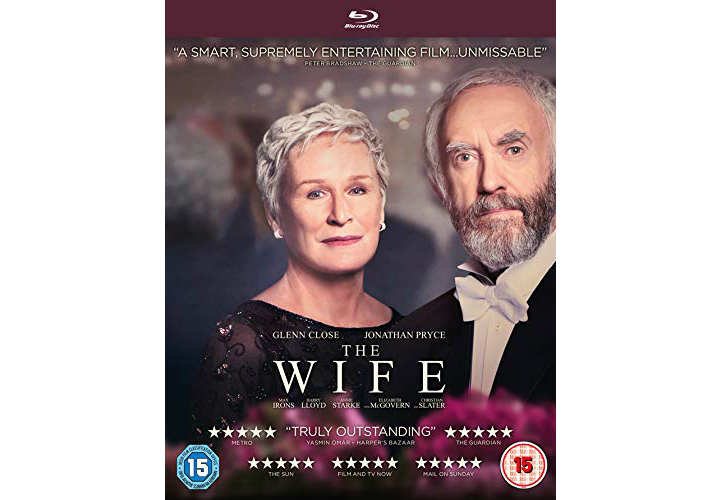 To mark the release of The Wife, out now, we’ve been given a prize bundle containing a signed theatrical poster, a signed book, a Blu-ray copy, and a bookmark to give away. Joan Castleman (Glenn Close) has spent forty years sacrificing her own talent, dreams and ambitions to support her charismatic husband Joe (Jonathan Pryce) and his stellar literary career. Ignoring infidelities and excuses made in the cause of his art, she has put up with his behaviour with undiminished grace and humour. The foundations of their marriage have, however, been built upon a set of uneven compromises and Joan has reached a turning point. On the eve of Joe’s Nobel Prize for Literature, the crown jewel rewarding a spectacular body of work, Joan will confront the biggest sacrifice of her life and some long-buried secrets. Based on the bestselling book by Meg Wolitzer, The Wife is a poignant, funny and emotional journey, a celebration of womanhood, self-discovery and liberation, featuring a stunning cast that also includes Max Irons, Annie Starke, Harry Lloyd, Elizabeth McGovern and Christian Slater.